It's bands like Sundara Karma that constantly remind me of the reasons why I so undeniably love guitar music. Ever since first hearing Freshbloom back in August '13 I became instantly hooked on their glazed sunshine pop sounds and haven't looked back since. With each release teasing new and brighter prospects for the Berkshire based four-piece, they immediately charmed their way to being one of my favourite new bands. Returning with the final track from their today released EP, Freshbloom gets a vigorous re-recording injecting even more illuminating energy in to what was already an uplifting summer-pop gem! Check it out below for yourselves. Sundara Karma release their debut EP ‘EPI' today (23 February) via 203 Recordings. Describing the EP as "a collection of all the guises we have taken so far" vocalist Oscar Lulu goes on to say "We originally wanted to make a concept EP with all sorts of apocalyptic sound effects, but for some reason or another it came out like this. I couldn't really tell you what it is or what it's about as my idea of it changes with each listen, but it's mainly a coming of age record for kids". 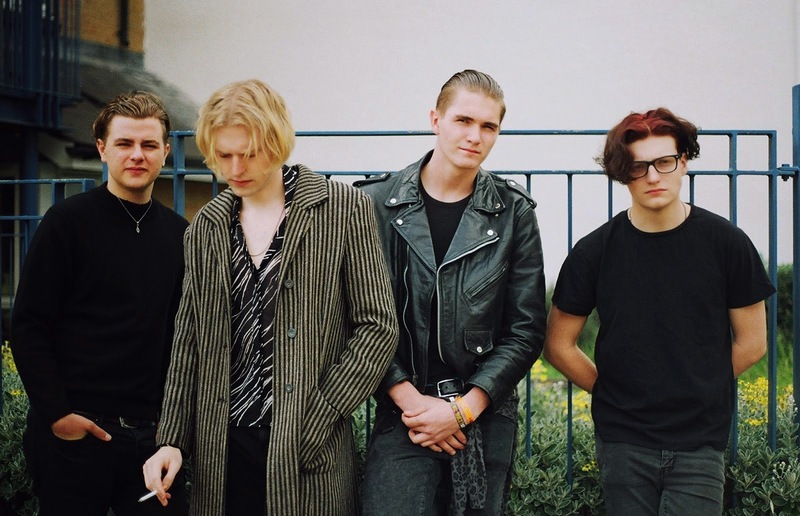 Sundara Karma are: Oscar Lulu (vocals), Haydn Evans (drummer), Ally Baty (guitarist) and Dom Cordell (bassist).